Parents who have been struggling to place their children with special needs in the school system now have the ability to select the best option for their children thanks to the recent contribution from Wyndham Vacation Ownership. 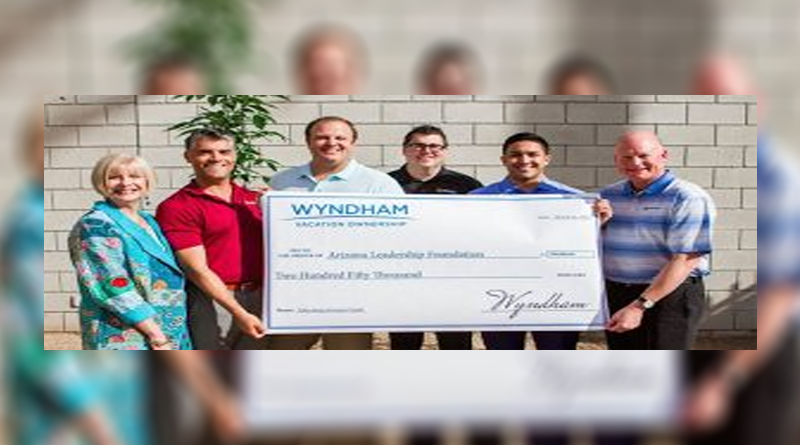 Schools across the valley, including ACCEL, a holistic private, nonprofit school educating students with special needs since 1980, benefit from the dedication and generosity of Wyndham and partnership with Arizona Leadership Foundation, receiving over $250,000 in State Corporate Tax Scholarships. “This generous donation is one of the largest scholarship pools ACCEL has ever had access to and we are thrilled with the opportunity to provide dozens of families the ability to bring their child to such a nurturing, specialized and positive learning environment. We take pride in providing our families with the best chance to get exceptional education and services while making sure they are not stressing over cost. Our goal is to give every student an opportunity to be the best version of themselves by providing them an environment where they feel safe and ready to learn,” Ray Damm, ACCEL’s CFO stated. “The Arizona Leadership Foundation provides scholarship assistance to private schools throughout Arizona with no preference to religious or political affiliation. We believe parents should have a choice when it comes to the education of their children – it is indeed our pleasure to support ACCEL, the premier school and thought leader for special needs children and teens,” according to Arizona Leadership Foundation President Aaron Muth. ACCEL teachers and students, alongside with Arizona Leadership Foundation and Wyndham Vacation Ownership recently celebrated Arbor Day with a check presentation and a symbolic tree planting at the ACCEL School in Phoenix. Opening in 1980, ACCEL has upheld a rich history of providing exceptional education and therapeutic programs to meet each individual’s needs. With two campuses located in Phoenix and Tempe, ACCEL serves hundreds of students and adults each year by providing a life of dignity and self-worth. ACCEL, on average, has a 2:1 student to teacher ratio, in -house therapeutic and nursing services and Board Certified Behavioral Analysts, which allow all students the opportunity to meet their goals. The Arizona Leadership Foundation provides scholarship assistance to private and disabled/displaced schools throughout Arizona with no preference to religious or political affiliations. The foundation believes parents should have a choice when it comes to education for their children. For more information, visit arizonaleader.org.